Join this free open online course to learn about the concept of two-tier ERP with SAP S/4HANA Cloud and how organizations can get set for their journey towards digital transformation. This course will highlight the need for two-tier ERP and show how SAP S/4HANA Cloud with its SaaS offering perfectly caters for the requirements and processes of different lines of business, which can be seamlessly integrated. You do not need access to an SAP S/4HANA Cloud system in this course. Srivatsan is a senior director in the SAP S4HANA Cloud Product Management and Co-Innovation team, APJ, leading the two-tier ERP topic globally. With over 15 years of industry experience, Srivatsan works closely with customers and partners to assess market requirements and interweave with SAP’s S/4HANA Cloud strategy and portfolio. His main focus is on the finance and technology streams of SAP S/4HANA. Srivatsan has four U.S. patents and is a regular thought leadership speaker at many technology events in the APJ region. Anupama Chandrasekhar is a director in Product Management for SAP S/4HANA, APJ. Her focus areas are sales and distribution, integration, master data and content management. 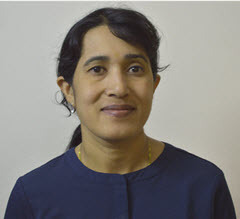 Anupama has written several white papers, specifications, and ACDs. She has also contributed to training courses within the SAP NetWeaver area, and been a coach in Mobile partner projects. 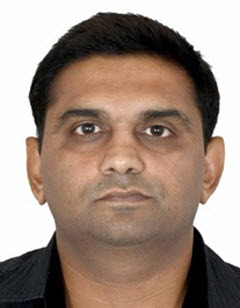 Abhijit has 12 years of consulting experience in SAP and non-SAP integration and extensibility. Hardeep Tulsi is a senior product manager in the SAP S/4HANA Cloud Product Management and Co-Innovation team. He is currently responsible for analytics functions in SAP S/4HANA Cloud. Hardeep has been involved extensively in analytics and co-innovation initiatives with customers, and in defining the use cases for two-tier ERP with SAP S/4HANA Cloud. 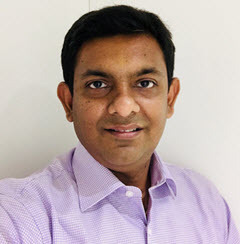 He is also part of the team that defines the functionalities that go into two-tier ERP with SAP S/4HANA Cloud, and is involved in customer implementation projects as a product expert for analytics in two-tier ERP. Hardeep has written functional and technical specifications for SAP S/4HANA two-tier ERP Analytics scenarios – SAP S/4HANA Cloud deployment approaches, as well as a number of blog posts on analytics. This course was held from Oct 10, 2018 through Nov 08, 2018. This course was rated with 4.15 stars in average from 504 votes. Sanjai K has been with SAP for more than 20 years in a variety of roles, spanning consulting, delivery management, solution management and product management. Sanjai is a member of the SAP S/4HANA Cloud Product Management Leadership team, and drives co-innovation with customers and partners for SAP S/4HANA Cloud across the APJ region. Prior to his current role, he was the regional head of the SAP Solution Delivery Centre (SDC) for the APJ region with responsibility for offshore service delivery. In his role, Sanjai works closely with customers and partners in the APJ region to strengthen the product and ensure that the voice of customers and partners influences the product strategy and roadmap. He also leads the team that is responsible for the topic of two-tier ERP within SAP S/4HANA Product Management. Sanjai is a frequent speaker at SAP TechEd and other events. Summan Chakraborty is a product expert in the SAP S/4HANA Cloud Product Management and Co-Innovation team. He is currently responsible for Sales and Asset Management in SAP S/4HANA Cloud. Summan has been involved in extensive co-innovation initiatives with customers, defining the use cases for two-tier ERP with SAP S/4HANA Cloud. He is also part of the team that defines the functionalities that go into two-tier ERP with SAP S/4HANA Cloud, and is involved in customer implementation projects as a product expert for two-tier ERP. Summan has authored a white paper on two-tier ERP with SAP S/4HANA Cloud deployment approaches, and written numerous blog posts on the same topic. Ranjani Guruprasad is a director in Product Management for SAP S/4HANA, focusing on sourcing and procurement. She is an SAP-certified ABAP developer as well as a trainer/coach for agile methodology, mentoring and enabling budding product managers in SAP. Ranjani has written functional specifications for SAP S/4HANA Sourcing and Procurement and SAP SRM. Bindhu Simry T is a product expert in the Product Management team for SAP S/4HANA, focusing on financials. She has over a decade of experience in SAP cloud products, having started as a developer. Prior to joining the Product Management team, Bindhu was the product owner for Financials in SAP Business ByDesign. Prakash Karkihallimath is a senior product expert in the SAP S/4HANA Cloud Product Management and Co-Innovation team, APJ, focusing on the design of two-tier business processes related to the Sales LoB. He also has very broad consulting experience spanning across different LoBs. Prakash has written a blog and white paper and published a video on the two-tier approach. Manish Saraswat is a director in the SAP S/4HANA Product Management & Co-Innovation team, APJ, responsible for end-to-end logistics and related financial topics in two-tier business processes and machine learning. He also enables Sales and Presales, and supports customers on SAP S/4HANA in the APJ region. Manish has over 15 years of consulting experience in business process consulting and SAP implementation experience, and has been involved in the majority of strategic SAP implementation projects in the region. Kris Cowles joined Topcon in 2014 and is VP, Global Application IT for the Positioning Systems (TPS) division. TPS designs, manufactures, and distributes precise positioning products and solutions for the global surveying, construction, agriculture, civil engineering, BIM, mapping and GIS, asset management, and mobile control markets. Kris is responsible for the full portfolio of business systems, driving IT strategy across the global footprint of both traditional Topcon business units as well as new businesses. Prior to Topcon, she spent over 20 years at Cisco Systems in a variety of roles in both the U.S. and Europe. Her background encompasses not just IT, but multiple business disciplines: global channel operations, supply chain, eCommerce, strategic partnerships, enterprise architecture, and operational roles in research and development. Robert Schmitz is a project manager for IT business solutions for Topcon. His department implements and maintains the business systems for the Topcon Positioning branch. Robert managed the implementation of SAP S/4HANA Cloud for Topcon offices in the Netherlands, Belgium, and Germany. His current focus is on two-tier ERP between ERP and SAP S/4HANA Cloud, and the S/4HANA Cloud implementation in Italy, Ireland, and Great Britain. Previous projects he has worked on include SAP ERP for Topcon’s European distribution center, CRM implementations, and a Microsoft Dynamics rollout.